This contemporary business center provides quality office space at a prime location in Adelaide City. It is an innovative corporate co working space and a network of business people who share similar values and styles. Commuting is a breeze with the Adelaide railway station within twenty minutes’ walk from the office. This location is truly a great place to work with the beautiful Rymill Park /Murlawirrapurka park only fifteen to sixteen minutes’ walk from the office. Office space prices ranging from $350 - $2000 per month. Looking for an office with easy city-centre access, but a casual, local vibe? This Adelaide location is the ideal one for you, offering secure offices with facilities including high-speed WiFi, meeting room access, plus printing and copying facilities. Cleaning services and kitchen facilities are included in the rates for this flexible workspace, meaning you've got no worries when it comes to expanding your business. West Lakes is a prime location to set up your business in a centre that offers private offices both internal and external in nature. This centres' waterfront location means that you can possess tranquil views fit to impress your clients. Fully furnished coupled with dedicated internet, printing, photocopying and scanning facilities, 24/7 access, and with access to kitchen facilities that supplies complimentary tea, coffee and biscuits, and free parking at the front of the building means everything you could need is right here. Great access to West Lakes Westfield Shopping Centre is provided, as it is located across the street, with a variety of retail venues, eateries, cafes as well as banks and ATMs, supermarkets and pharmacies inside it's doors. Linked to transportation with hotels, gym facilities and prime access to AAMI Stadium and the waterfront walkway, the options are endless in this amazing area. 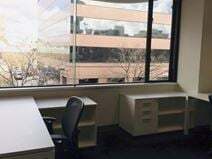 With signage opportunities available, these easily accessible furnished offices are located in Adelaide's suburb of Seaton and are ideal to increase exposure for your business. Convenient on-site meeting rooms and kitchen facilities serviced with beverages. Your daily commute will be a breeze, with on-site parking available free of charge and Seaton railway station just a quick walk away from the office. The centre provides a variety of office spaces. The centre provides high speed internet, kitchen facilities, meeting rooms, printing station, private phone booths, concierge services, bike storage and storage lockers for your daily office use. You can easily access to the centre by train (Adelaide Station) or by bus (Stop H1 Wakefield St – North side or Stop S1 Wakefield St – South side). The centre is surrounded by pharmacy, private hospital, college and pizza place. Conveniently located in the dynamic business park of Adelaide, this modern business centre is surrounded by offices, restaurants, cafes and shops. The centre is equipped with the latest technology solutions, video-conferencing facilities and secure parking area. The building enjoys a stunning view over the surrounding park, which hosts numerous events throughout the year and is excellently served by public transport. Opening January - Well connected to public transport with parking on-site this centre, located in Rosewater, has great accessibility and great advertising opportunities to the 25,000 vehicles that pass by on a daily basis. A centre consisting of six modernly furnished, private suites, a large reception and waiting area, kitchen and breakout space, with separate restroom facilities. Make use of the shared internet and printing copying facilities while reception handles meeting and greeting your guests and handling all of your deliveries so you can work distraction free. A proudly South Australian, family-owned and operated company, providing a variety of professional, furnished, serviced suites to suit small start-ups all the way to large international companies. Located in Eastwood overlooking the Southern Parklands, on the fringe of the city centre. This centre has ample parking and can be easily accessed by clients and visitors via public bus route. Five minute journey from the CBD with local cafes and shops within walking distance. There are also walking tracks and parklands nearby to cater for lunchtime strolls. Operating rather inexpensively, with a monthly licence fee that includes a comprehensive range of services and facilities. Complimentary tea, coffee and breakfast are provided in the staff room kitchen, reception with personalised phone answering, and mail and courier management is provided on site just to name a few. There is a spacious visitor waiting and reception area provided in the building and the main goal of the centre operators is to provide professional business accommodation, serviced by staff who care about you and your business. These hope to enhance your business and save you time and energy. This prime location in the southern park lands of Adelaide provide flexible serviced offices, with 24-hour access for late nights and early mornings, plus fibre-optic internet and bookable meeting rooms. A full time receptionist is available to welcome your guests, plus offer telephone answering and mail-handling services. The centre is just a few minutes away from both Adelaide's CBD and local Airport (ADL), and Adelaide's Showground Railway Station is less than five minutes' walk. Situated in the heart of the CBD this office tower is part of an extensive open plaza containing cafes and restaurants. The office space itself provides excellent natural light with great views and has access to meeting rooms and a business lounge. Fully-furnished and on an all-inclusive basis, this space offers you everything you could need to build and grow your business, without having to worry about the gritty parts of finding premises. 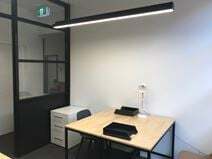 Located in the fringe of Adelaide's City, this space provides an ideal work space for your business. With facilities such as free printing and scanning, wi-fi, mail and package handling as well as free meeting area use. You will have 24/7 access to your own fully furnished office that has personalized signage out front. Accessible via car and public transport, this space is ideal for those looking to drive into work as there is free parking provided on site. Close to cafes, shops, the airport, beaches and only a short distance from Adelaide's CBD. Set overlooking Hindmarsh Square in the heart of Adelaide’s central business district, this modern office building offers you state-of-the-art business accommodation in one of Adelaide’s prime locations. Buses arrive regularly on nearby Grenfell Street, offering services across Adelaide every 30-minutes. Adelaide railway station is just a five-minute drive from the center, and Adelaide airport (ADL) is accessible in under 20-minutes. Take advantage of fully-furnished office suites, high-speed internet connection, breakout areas and meeting rooms, all available on flexible terms with no long-term commitments. Fully furnished offices with breathtaking 360 degree views of South Australia, this building will provide cutting edge technology for the most demanding company. Benefit from 24-hour access, communal kitchen areas, breakout spaces and comfortable meeting rooms. Located in central Adelaide within easy reach of Adelaide train station and only a few minutes walk to a wide variety of shops and services. Adelaide City Central is right in the heart of the CBD and its legal and financial districts, conveniently located not only to the central business district, but also within easy walking distance to the shopping and entertainment areas. Also within walking distance are some of Adelaide’s most popular attractions including Rundle Mall, the picturesque River Torrens, and of course Adelaide Oval. Take advantage of the professional meeting rooms, comfortable break-out areas and communal kitchens, plus you can benefit from the friendly welcome your guests will receive from the on-site staff offering greetings, postal-handling and telephone answering services. This newly refurbished space in the heart of Adelaide"s CBD is ideal - offering private offices, coworking and virtual office packages, you"ll have every option you could need to grow your business. The on-site staff will use their years of experience to help you with services, from accounting and tax advice all the way to reception and concierge services. Benefit from the flexible terms and access to networking opportunities for all tenants. This building caters for 1-15 person operation. Recently refurbished with grand refurbishment to occur in near future free car parking and undercover carparking for free. Storage facilities available. The boardroom comfortably seats twelve people, and is complete with television, video, white boards, and conference telephone facilities. Norwood and Burnside shopping precincts, cafés and restaurants aplenty. The centre is located just off the Great Eastern Highway and is within a short distance from Adelaide Airport. Found on the popular Peel Street Laneway, between Hindley and Currie Street in the Adelaide CBD, this centre is part of Adelaide's vibrant and tourist favourite destination. Only a short walk from cafes, restaurants, bars, grocery stores, public transportation and car parks this space is a prime location to set up your business. Providing premium coworking space for growing businesses; this centre was voted Adelaide’s Best Coworking Space in the Qantas Business Travel Awards for 2018 and comes equipped with all inclusive amenities, high-speed internet, premium meeting rooms and professional development with community events promoting networking. This superior business centre offers affordable serviced business suites in the heart of the Adelaide CBD, close to many of the major national and international Corporations, Government Departments, Law Courts and professional firms, shopping and restaurant precincts. Car parking options are available next door and nearby. It is the ideal centre for small start-up businesses, interstate companies seeking a business presence in the rapidly-developing South Australia economy, as well as established small organizations wishing to have their office and secretarial requirements professionally and efficiently managed on their behalf. High speed IT is provided to all suites via Cat 6 cabling. Virtual Office packages are also available. This building is located in a recently refurbished building offering excellent working conditions in a light and airy environment. Just minutes away from Adelaide's CBD these new offices are located in the heart of Prospect. 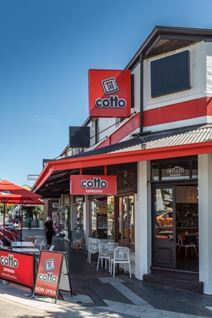 An on-site cafe provides your daily caffeine needs, while the private offices in a range of sizes are complimented by the free on-site meeting rooms and the high-speed NBN internet connection. A furnished kitchen is available with a range of provided beverages, plus 24-hour access means you can come and go as you please. Established in 1989, this site offers up to 50 suites, and is one of the largest accommodation complexes and business facilitators in Adelaide. Printing and scanning facilities, 24-hour access, mail and courier management, fully-fitted kitchen spaces, phone answering services, end-of-trip facilities, plus plenty of networking opportunities are just some of the amenities on offer in this flexible, all-inclusive space.Located at Brooklyn park on the intersection of two major arterial roads with high-traffic exposure, this space is only two-minutes from Adelaide Airport (ADL), five-minutes from the CBD and right in the centre of Adelaide's Northern and Southern suburb corridor. Sitting in verdant environs, this modern business centre offers ground-floor fully furnished offices which are adaptable to suit your company's requirements. This well-known business park has great connections with the rest of the city, and is near to a couple of major shopping centres. These offices are located on the ground floor of a modern, glass and rendered office building, where the spaces are set up with a basic suite of furniture, including; a desk with mobile pedestal, executive leather chair, bookcase, filing cabinet and a chair for visitors. This character building in central North Adelaide is just a short drive from the city centre and provides two floors of fully furnished and flexible office space. Meeting rooms are available for booking on a half-day or full-day basis, and rates are inclusive of furnishings, whiteboards, high-speed internet and unlimited complimentary beverages. A limited amount of off street parking is also available for commuting convenience, while buses run regularly from local stops. Located at the heart of Walkerville, this premium business centre is close to the central business district and in a reputable part of Adelaides outskirts, amid abundant and luxurious local conveniences. It offers a range of fully furnished, high-end suites for 1-20, as well as full business support and virtual office services. Blending five-star hospitality with state-of-the-art facilities, tenants can benefit from top notch amenities including a pool and sundeck (designed by Olympic medallist Michael Klim), fully equipped gymnasium, retail precinct, on-site parking and a 24-hour reception services. Located on Waymouth Street in Adelaide's CBD, these brand new furnished offices are located on the ground floor and provide a bright and airy workspace. There are several amenities available in this space, including on-site meeting rooms, an on-site café, kitchen facilities, plus high-speed internet to name just a few. Just a few minutes from nearby mainline rail and tram stations, plus only 15-minutes drive gets you to Adelaide Airport (ADL).